The Asokwa Constituency Secretary of the ruling New Patriotic Party (NPP), Papa Yaw Asare Bediako John has begun what observers call a novel project where he meets constituents on Thursdays every week to listen to their concerns. The move, something unseen in the community interestingly is generating enthusiasm from both the public as well as party sympathizers. The party secretary sits between the hours of 5pm to 7pm every Thursday listening to the concerns of both residents and party people of Asokwa. During a visit to the constituency office last Thursday, residents of the constituency had lined up to have their time with the constituency secretary. Hensely K.Boateng, a graduate and NPP member told the Ghanaian Observer Newspaper that he was happy meeting the NPP secretary to voice out his concerns. He described the atmosphere as encouraging as he had had time to share his heart with the secretary without feeling uneasy or intimidated. Kwame Kennedy, an Atonsu Bokro resident expressed his happiness about the opportunity of meeting the NPP secretary. He noted that his concerns had been taken down with an assurance from the secretary to working to address same. 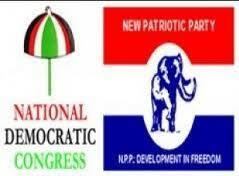 K. Christian and K. Michael, residents of Agogo North and Ahensan respectively commended the NPP scribe for the initiative, adding some party members feel neglected anytime there is no election in sight. Speaking to this reporter later, Papa Yaw as the secretary is fondly called thanked the NPP party for the opportunity afforded him to serve. This service, he intimated comes with a lot of commitment and patience, adding one has to both listen and obtain feedback from the people he or she is serving at all times. The work of a constituency secretary is not only sitting at executive meetings and deliberating on party matters but to provide an avenue for all in the constituency to interact and share whatever concerns they may have, the NPP scribe educated. The Asokwa NPP branch, Papa Yaw noted is doing things differently this time around, adding that it would continue to engage even more with residents by carrying out outdoor durbars to listen to the people they serve. ‘’I, as the Asokwa NPP constituency secretary sees myself as the number one servant of the party as well as the people of this community and I am committed to using my office to listen and carry on concerns by residents to the appropriate quarters for redress’’, Papa Yaw reiterated.